Welcome to the HeadStart Wolverhampton community programme for 10-16 year olds and families. 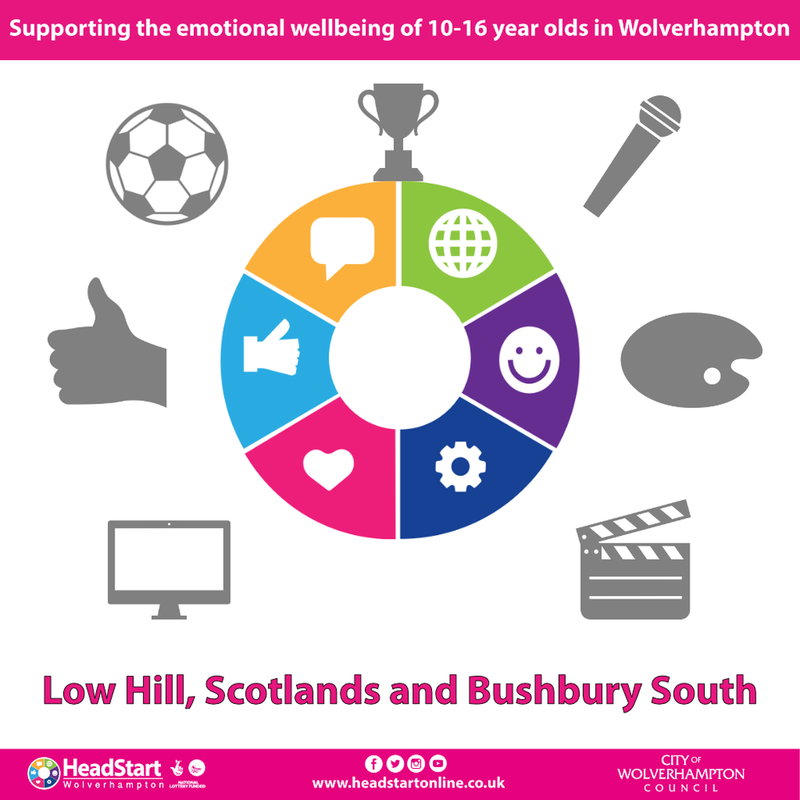 HeadStart Wolverhampton organises and funds a wide range of activities and interventions for 10-16 year olds, and for their parents or families, as part of our mission to support the emotional wellbeing of young people in the city. These are delivered through initiatives titled 'Place to Go' and 'Work with Families'. For more information, see our successful bid to The Big Lottery Fund in 2016. Get involved with HeadStart and build your resilience, teamwork skills and emotional wellbeing, make new friends ... and have fun! HeadStart programmes are particularly focussed around the following areas of the city - click the links for the programme in each area. We will only use your email address to communicate with you about your feedback, if appropriate. Don't forget to also check our HeadStart Support and Guidance site at headstartonline.co.uk/support. It's a great launchpad to resources and advice to support the wellbeing of young people on a wide range of wellbeing topics.